When you find out that someone you know is grieving from a death in the family, your first reaction would probably to offer help. It is also normal to offer some kind of token to express your sympathy. Most people give flower baskets but you can also send funeral prayer cards instead. Religious families will appreciate that you have prayed for their lost loved one. It is a spiritual offering that is generally acceptable. If you want to give something else, consider sending a potted shrub as a token of remembrance. This shrub can be kept in the pot or planted into the ground to represent a long lasting memorial to the deceased. Another great idea is to offer a slab of stone with a nice quote engraved in it. Instead of offering a card, this unique piece of decor can be installed in a garden. It can also be placed indoors in a special place of the house. 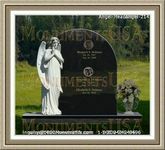 Have something memorable etched into the piece that will bring back good memories of the dead. 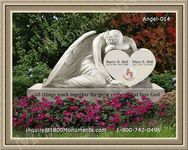 If you have photographs of the deceased that the family members do not have copies of, consider compiling them into an album. The recipients will appreciate this gift, especially if they have never seen the pictures before. Most family members collect items of the deceased after they die and this could make a good offering to them. Bringing beverages and food is a thoughtful token of support. You can bring over a tray of non-perishable foodstuff that can be served to guests. Make sure that you choose items that will not spoil quickly and will preferably last till the entombment. Giving prayer cards is a nice gesture that can be offered with some flowers or a potted plant. Make an effort to present it nicely. Place the card inside a pretty folded case made of hide or faux leather.